This super-easy dessert can be whipped up in a matter of minutes and is sure to impress any dinner guest! The tart lemon curd is complimented perfectly by the smoothness of the vanilla cream, while to biscuit crunch makes this dessert moreish and utterly irresistible. Combine thickened cream and vanilla bean paste in a large mixing bowl and using an electric beater mix until soft peaks form. Meanwhile, crumble scotch finger biscuits to resemble a fine crumb. 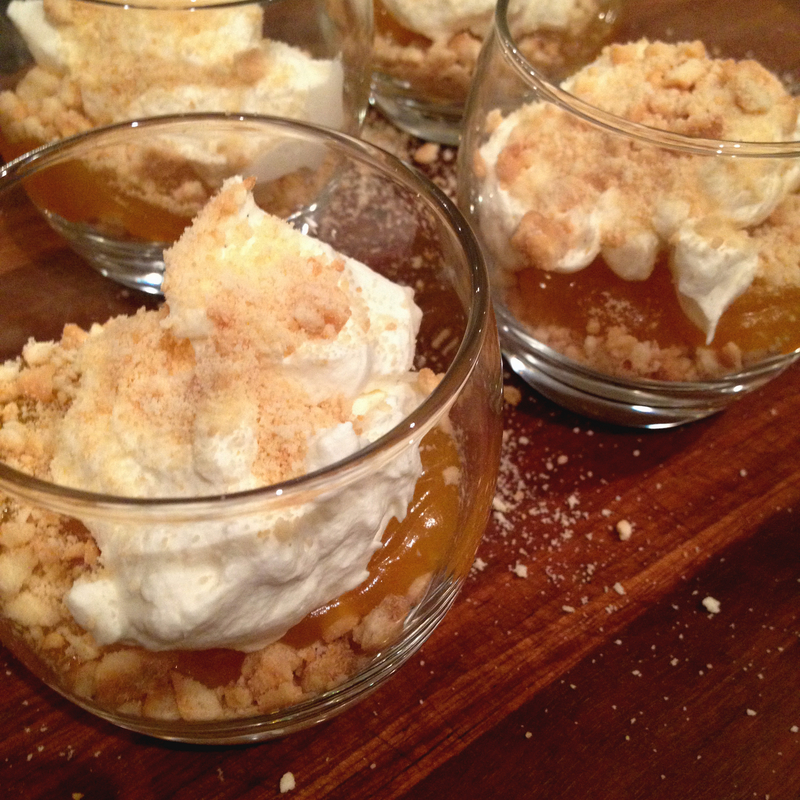 In six small glasses or jars, evenly distribute a layer the biscuit crumb, top with lemon curd and whipped cream; repeat. Top each serve with a light sprinkle of biscuit crumb and serve. Yummo I will definitely try this one thank you for your post!